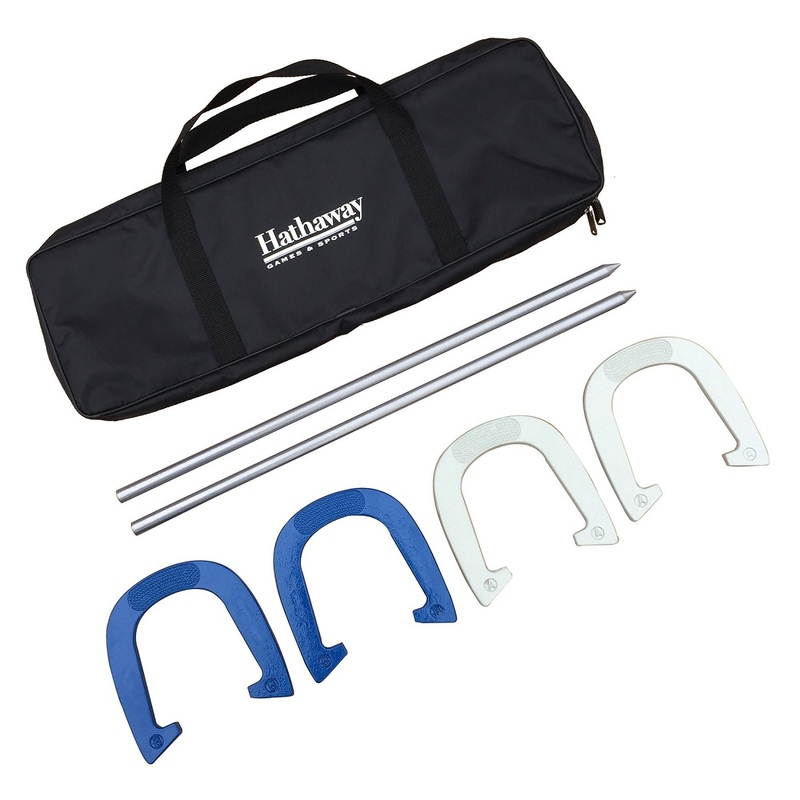 Get out and enjoy a good old fashioned horseshoe pitching contest in the great outdoors with the Hathaway heavy-duty Horseshoes Set. Crafted from high quality steel material and powder coated for extra protection this durable set will last for years. 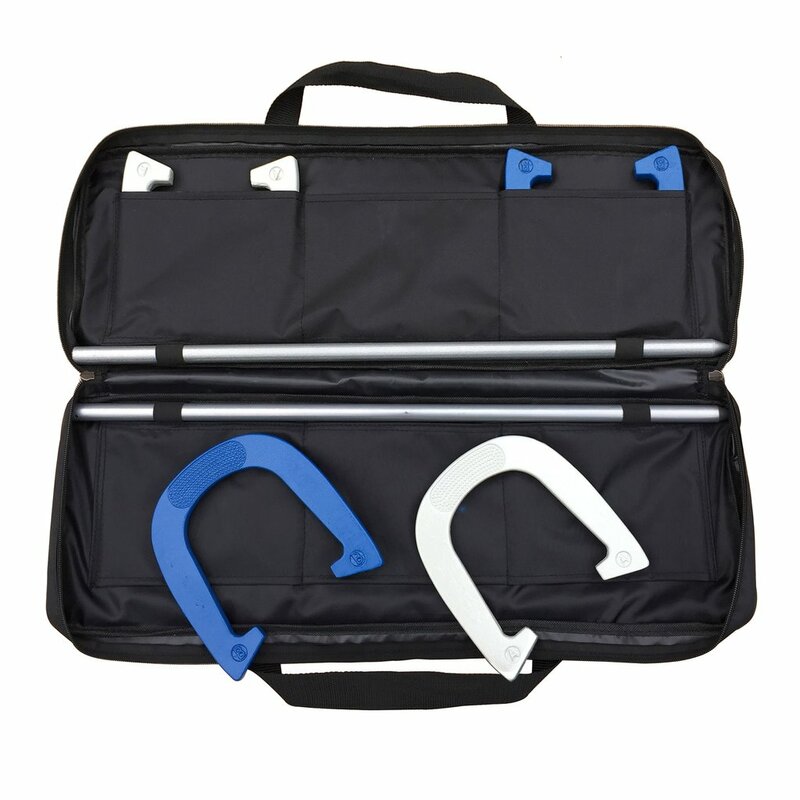 This set includes 4 regulation horseshoes, 2 stakes to drive firmly into the ground and a convenient durable nylon carrying case for easy transport and storage.